Hi, I'm Liz, welcome to Eight Acres. I live on a small farm in Kumbia, Australia, with my husband, Pete, and our dogs Taz and Gus. This website started off as a blog for sharing all the things we make and grow on our small farm. We keep a small herd of beef cattle and a few dairy cows. We also have lots of chickens, bees and a vege garden. 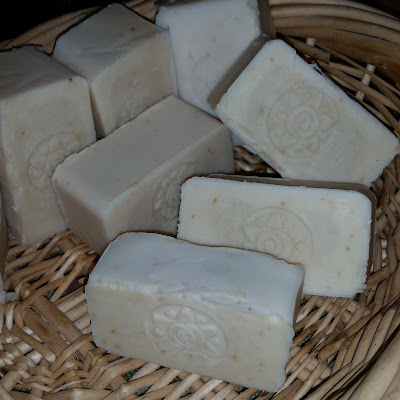 Now as well as sharing what I'm learning, I can share what we make through our virtual farmgate (online shop), where I sell natural handmade tallow soap and raw chemical-free honey and beeswax. If you want to find out more about what we do on the farm and where these products come from, you can read more in my blog, follow any of my social links or send me an email, I'd love to hear from you. Please join my mailing list, then you'll never miss an update from Eight Acres. For all of my soap recipes I use 1 kg of oils (including tallow), the amount of caustic to react with the oils (a little less to allow for "superfat") and about 330 mL of water. Someone asked me recently why I don't specify an exact amount of water. I had to go back to my soap-making book (Soap Naturally - affiliate link) to check where that ratio came from. The water in soap making isn't actually part of the reaction. The soap reaction is between the oils and the caustic soda (sodium hydroxide). As the caustic soda is solid, it wouldn't disperse well and react evenly if we just added caustic soda granules to the oil. We dissolve the caustic soda in water so that we can easily mix the caustic soda with the oil to facilitate an even reaction. This is why measuring the exact amount of water to the mL is not important. However, you do need to know approximately how much water to use. If you use too much water, the soap will be gluggy and take a long time to dry out and set completely. It will also lose a lot of weight as it cures, because all that extra water will evaporate. If you don't use enough water, then the caustic solution will be strong and the mixture will thicken very quickly, which can make it difficult to get into fancy moulds or do clever swirls and patterns before it sets (not to mention the danger of working with concentrated caustic solutions). Sometimes soapers will intentionally reduce the amount of water, which is called "water discounting". 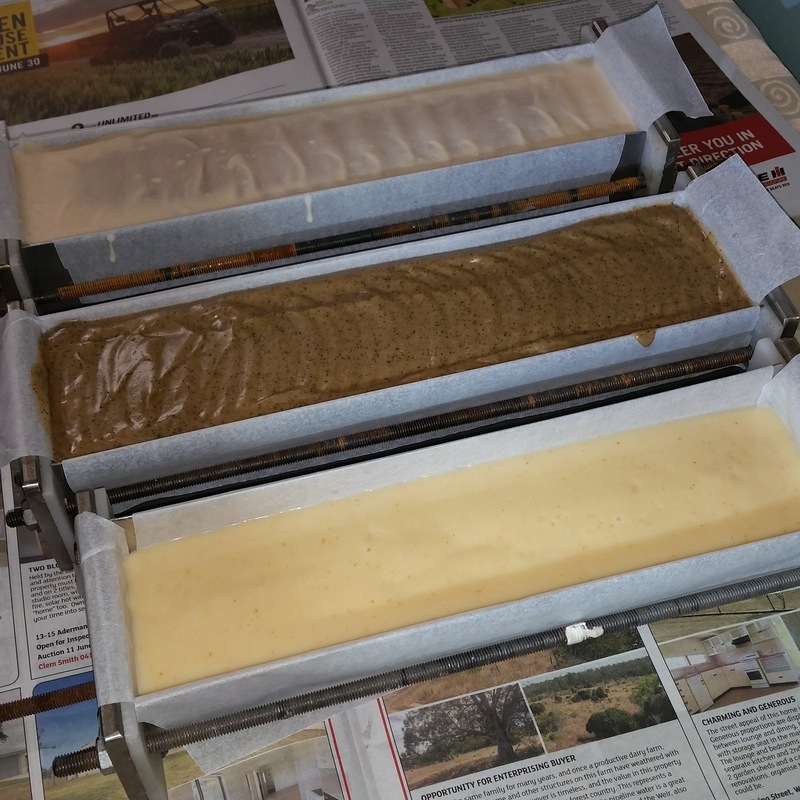 This is done to produce a harder bar more quickly (less water to evaporate), if other ingredients contain water (for example when adding purees) or to ensure that the soap gets hot enough to reach gel phase, and to prevent soda ash formation. Water discounting should be avoided when using ingredients that are known to produce hot mixtures, such as milk or honey. So how much water should we use? Generally these ratios are a good starting point. You may want to increase the water content slightly if the soap reaches trace too quickly or gets too hot. If you find that it doesn't get to gel phase (and you want gel phase, which is another discussion!) or its just a simple recipe that you want to cure quickly, then you might consider reducing the water content slightly. The maximum recommended concentration is 50% caustic soda to water by weight, however this is a very strong solution and anything strong will not dissolve all of the caustic soda. For less experienced soapers, its best to stick to the recipe and get some practice before experimenting with water discounting. How much water do you use in your soap recipes? Have you tried experimenting with water discounting?